owlet: Little Owlet is big! Look at that grin! 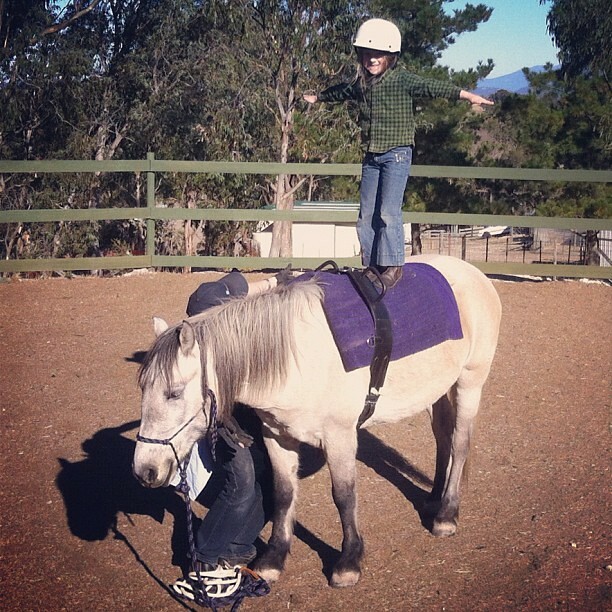 Yes, this is the girl who, one month ago, needed to be carried and lifted onto a pony half this size. It's the same girl who, this time last year, was afraid of dogs and pretty much everything that moved. This is the girl who faced all of those fears. 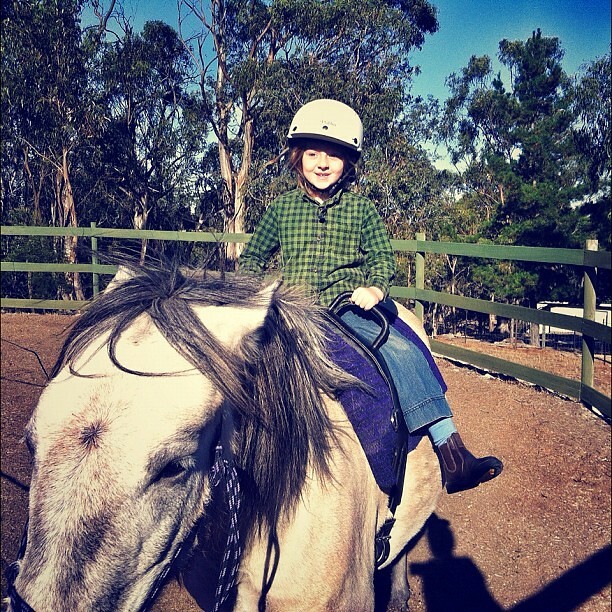 Now she rides horses. Actually, not only that... she stands on them! 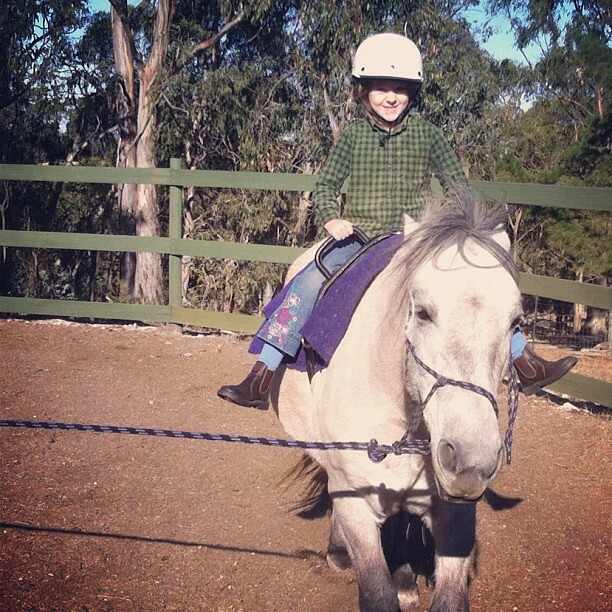 We take her to fortnightly riding lessons where she gets to challenge herself in her own time and do things that amaze even her. It's magic to watch as she's overcome by joy, doing something on her own. Something new. This is the girl who, until last week, was afraid to put her face under water, even in the shower. Who sat beside me as we gently lowered our faces in to the pool and giggled as I waved at her below the water as she saw under there for the very first time. "Mum, I'm so pleased with myself!" She said, beaming over dinner that night... It didn't matter what I thought and I love that. She didn't need my approval, because she knows she always has it. Of course, my heart was full to bursting, as it often is, watching her branch out on her own, finding her own way and her own confidence. Actually, these pictures make my lip go all wobbly... You see, Little Owlet was always so attached to me, more so than the others. She needed me for so much. Changed the way I parented and challenged me to open my heart, just that little bit more... I rose to meet her and I'm so glad that I did, because now that attachment has led to a strength and determination that is unwavering and comes from the calm assurance that you are backed always by love. You made me cry Mama. Oh heavens.